Billed as the third in a trilogy of Japanese RPGS imported to Europe in the last year (or the fourth as some adverts decided to include Skyward Sword…. Which is just wrong, wrong, wrong) Pandora’s Tower is certainly the oddball of the group. Comparisons with Skyward Sword are actually fairly apt; there are parts of Pandora’s Tower which feel like a Legend of Zelda title. Take Twilight Princess, strip away the overworld, all but one shopkeeper and one female NPC, take away all of the weapons but the hookshot and the sword, and you have something fairly close to Pandora’s Tower. The Oraclos Chain, your one extra weapon, is both the game’s strength and weakness. Ganbarion have done an excellent job creating a varied experience; you can swing from it, use it to pull switches, pick up items, reach high up ledges, lasso monsters (aiming for the head, arms, torso or legs means it has a different effect) and if their small enough throw them around the room. The chain is brilliant… But it’s all you have for the length of the game. What starts as a novelty eventually becomes arduous. Pandora’s Tower keeps things interesting with some phenomenal enemy designs. Each boss (Masters in this game) is unique and carefully designed to test your skill both with and without the chain. Quick reflexes, speed and forward planning are necessary to overcome the more difficult foes, and only a few fall into the traditional watch enemy movements and wait for weak point to be exposed trap. Each enemy makes you work hard to create opportunites for you to attack, and combine that with a timer counting down to zero and it becomes a hair-raising experience. The timer is the games other unique feature. As you enter each dungeon it starts counting down to zero and if you haven’t escaped before it finishes it’s game over. This gives the game a welcome sense of pace and urgency, making you plan exactly how far into the dungeon you’ll venture before turning back. If you defeat a monster you can claim some of it’s flesh, the more powerful the monster the more powerful the flesh, and the more time on the timer you can give yourself on your next attempt. Master flesh will completely fill the timer whilst lowly servant flesh will only give you a meagre 60%. This pushes you to face larger, more dangerous enemies, even though they will be difficult to kill and are likely to damage you in the process. Get hurt enough they’ll even break your armour and you’ll have to pay to get it repaired, and for the majority of the game you won’t have a lot of spare change. The reason for the timer and the gathering of flesh is fully integrated into the game’s short yet excellent plot. 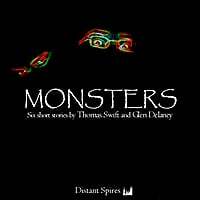 The protagonist Aeron and the love of his life, Elena, have come to the towers to relieve a curse which is slowly turning Elena into a monster. The timer represents Elena’s slow and horrific transformation into a beast and each time you feed her flesh she is restored to normal. According to a mysterious old woman who serves as your shopkeeper and fountain of knowledge if you feed her twelve pieces of Master Flesh and she’ll be cured. If everything above sounds encouraging then that’s good, because the game has some notable downfalls. Use of the chain does get tedious by the end, constantly checking in on Elena does mean she repeats the same familiar phrases over and over again, and worst of all although it is designed spectacularly it doesn’t look as good as it should. It’s doesn’t have the same production values the others boast. This is a Wii game, sure, but Skyward Sword boasted an untouchable level of polish for a standard definition experience, Xenoblade wowed us with an epic amount of scope and the Last Story offered amazing intricate details. This sits, somewhere in the middle, with both scope and detail, but everything is a little grey and a little murky. Dust falls from the crumbling buildings and from a distance it looks like shimmering white pixels, like gaps between the walls like you used to see on old PS2 games that weren’t quite designed well enough. The camera is well placed to make the most of the stunning architecture but that means it’s fixed, opening a whole can of worms in itself. This a brilliant game, with bold original ideas, but it has its flaws. It’s no Zelda; that’s for sure, it is it’s own special creation and I wouldn’t have it any other way.